I don’t know what you were doing on Saturday, September 9, but I was in a San Diego hotel ballroom watching a little history being made. HL7 held the 16th FHIR Connectathon on September 9 & 10 and it was another great success. Over 200 people happily gathered together at 9:00 am (with lots of coffee) to work in the 19 tracks developing FHIR solutions. The Clinical Research track, co-sponsored by TransCelerate, filled three large tables. This was a huge jump in participation. We had seven participants at the January Connectathon in San Antonio and two at the May Connectathon in Madrid. Read more about how TransCelerate BioPharma Inc. generated use cases for the Clinical Research track and supported the event here. In my previous article, Patient Consent Forms: Redundant in the World of OAuth, Part 1, I suggested providers to design their OAuth2 authorization challenge as a patient consent form so that patient consent can be digitally recorded during the OAuth dance. This would allow providers to share patient health records with the patient health apps much more efficiently without requiring separate paper/PDF consent forms, while still meeting the policy and regulatory requirements. In this post, I will walk through a specific example of how to do this, and also discuss the differences in providers and patients’ perspectives on consent. First, let’s consider the scenarios from the Consumer Centered Data Exchange track at the FHIR Connectathon 16 in San Diego where a patient app can pull their health records from all of their providers in one place, or cause their EMR data to be sent from provider A to provider B. In both these scenarios, the provider may need an explicit patient consent or authorization form (often paper-based) signed by patient. So, how can we use OAuth2 challenge instead to capture patient consent? Today, a patient would typically do this by signing a paper form and the provider would hand over a DVD containing scanned PDF copies of the patient’s health records. Now, imagine using a consumer health app on your phone, and every time you request your provider to share your records, the app asks you to first download a consent form that you then need to print, sign and fax to your provider. That would be a cumbersome and undesirable patient experience. Instead, digitally embedding patient consent during the electronic pulling or sharing of patient records itself can make this experience much smoother. 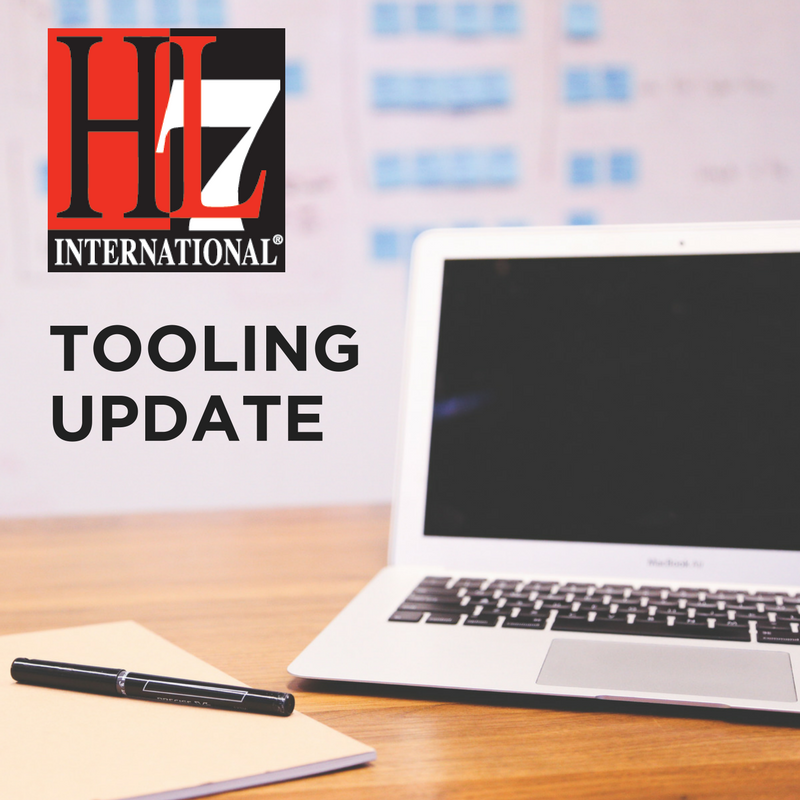 As is customary, the team held a FHIR® Connectathon preceding the HL7 International Conference & Working Group Meeting in Madrid earlier this month. Connectathons are an integral part of the HL7 FHIR process as they help validate the decisions that are made as part of the overall development of the specification, and ensure the standard is as easy as possible to implement (recognizing that healthcare interoperability is always going to be complex). HL7 FHIR Connectathon 15 had approximately 80 attendees – a bit down from previous connectathons, though still a strong turnout for an event held outside of the US. This connecthaton featured 10 tracks, click here to read the complete list. The medical software industry often exhibits great reluctance in adopting new approaches and technology. HL7 Fast Healthcare Interoperability Resources (FHIR®), which has been enthusiastically embraced, is an exception. FHIR is in the limelight and is being adopted at an unprecedented rate. However, FHIR also has two other sister-standards that aren’t getting the attention they deserve: Clinical Quality Language (CQL) and the Clinical Information Modeling Initiative (CIMI). When combined with FHIR, CQL and CIMI bring powerful and important capabilities to healthcare platforms that go far beyond what FHIR can deliver on its own. Applicadia’s mission is to build a suite of tools, components and libraries, that facilitate the integration of FHIR, CQL and CIMI clinical models into existing healthcare platforms. At the HL7 FHIR Application Roundtable event, Applicadia demonstrated a novel speech-based charting application that leverages Clinical Natural Lanugage Processing (NLP) and CIMI clinical models to capture structured information at the point-of-care, without ever having to touch a keyboard. As a clinician speaks, SNOMED CT and LOINC descriptors are built from his or her statements and used to determine which pre-defined schema (CIMI clinical model) best describes the clinical situation. The system can then prompt for additional information, as necessary, until a fully encoded and computable standards-compliant medical record is produced that conforms to the expectations of its matching FHIR profile. You can watch the Applicadia demo from the March 2017 FHIR Applications Roundtable by clicking here. On March 26th, the first HL7-AMIA Datathon: Informatics in the Age of FHIR was held in conjunction with AMIA's 2017 Joint Summits on Translational Medicine in San Francisco, CA. While this datathon was similar to an HL7 FHIR Connectathon, it was geared towards clinical informaticists and designed to provide them with the technical skills to evaluate and use HL7's Fast Healthcare Interoperability Resources (FHIR®) standard to support research and discovery. It was an intense day of hands-on, heads down development, working directly with fellow participants as well as HL7 FHIR experts. 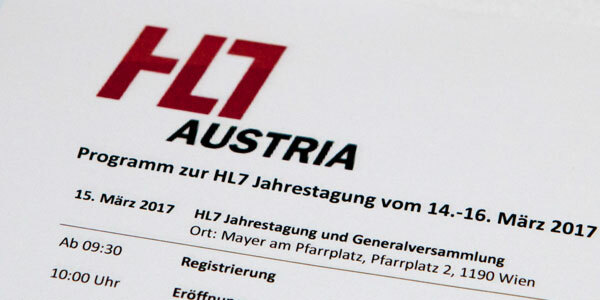 HL7 Austria's annual assembly has become an insider’s guide to the eHealth community. This small but mighty event was held on March 15, 2017 at its regular location, the Heuriger, a local winemaker’s tavern, with a record attendance of more than 100 participants. The annual assembly included a a full day of presentations with timley information, education and networking. We also celebrated the 10th anniversary of HL7 Austria. More than 20 speakers from four countries delivered engaging talks on the importance of standardization and HL7 in the eHealth area. The presentations covered a wide range of topics that demonstrated what goals have already been accomplished and what work still needs to be done to support interoperable electronic health data exchange in the future. It’s my pleasure to make you aware of the next HL7 FHIR Connectathon taking place on Saturday, May 6 and Sunday, May 7 in Madrid, Spain. This event takes place in conjunction with the May 2017 International Conference & Working Group Meeting. Hard to believe, but it’s already the 15th one and we look forward to many more. If you are thinking about attending this Connectathon, but you’re not sure if it is right for you, or even where to start, as one of the organizers, I can help.